I am Robert J. Varga, a criminal defense attorney who has served clients throughout northwest Indiana for more than 19 years. I was born and raised in northwest Indiana and graduated from Valparaiso University School of Law. When I opened my own law firm in 2002, I committed myself to providing highly personalized legal representation at affordable rates. I understand the serious implications that every criminal charge poses. While I always attempt to resolve a case as efficiently as possible, I never cut corners at the expense of the final outcome. To find out more about my education and work history, click on the link below. I will be happy to answer your questions and provide a straightforward assessment of your case during a free, no-obligation consultation. Contact us today to schedule an appointment. 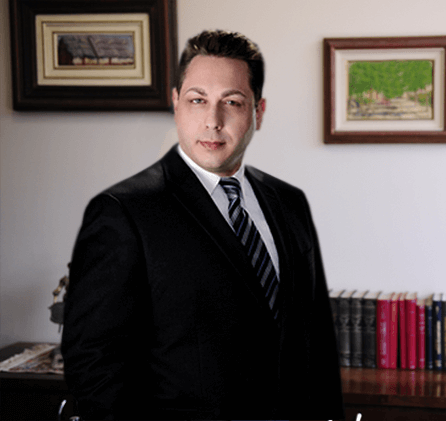 Attorney Robert J. Varga serves clients throughout Northwest Indiana. Including Merrillville, Crown Point, Schererville, Gary, East Chicago, Dyer, Munster, St. John, Hammond, Highland, Hobart, Whiting, Griffith, Valparaiso, Michigan City, Portage, Chesterton, Cedar Lake, Lowell, Hebron, Kentland, South Bend, Elkhart, Goshen, Plymouth, Knox, Rochester, Rensselaer, Mishawaka, Lake County, Porter County, Jasper County, La Porte County, Newton County, Starke County, St. Joseph County and the surrounding towns, areas and counties as well as throughout all of Indiana. by Robert J. Varga, Attorney at Law. All rights reserved.